If you’ve been following my jaunt down the Forward Path, you probably already know that a year ago I was teaching high school English. What I haven’t said much about, however, is the trip that triggered my decision to give up teaching. For several months leading up to the holidays a year ago, I had been in a very dark place within myself, and I was visibly taking on enough water that Elizabeth knew something had to be done. So, as a Christmas gift, she sent me to Carlsbad, New Mexico, for three days prior to the beginning of the spring semester. You may think that an odd choice for a Christmas gift from someone who claims to love another person, but it turned out to be the perfect thing to do. It was ostensibly a trip to visit Carlsbad Caverns, but we both knew its true purpose: a soul-searching mission, a solitary retreat. She hooked me up with a place to stay, some awesome music to listen to on the way, reservations for a tour of the caverns, and cleared her schedule so that she could take care of the girls while I was gone. You may be wondering how much soul-searching can be accomplished in three days. It may not seem like much, or at least not nearly enough, but I had several things working in my favor. First, being freed by Elizabeth of all responsibility to everyone except myself allowed me to turn my focus inward in a way, and to a degree, that is quite impossible in the daily life of a parent. And some things, little things like figuring out who you really are meant to be and what the implications of that are on your current life require a certain investment of quality time for analysis and reflection. Also, because opportunities like this don’t come along very often, I think it is the parent’s instinct to make the most of them when they do. 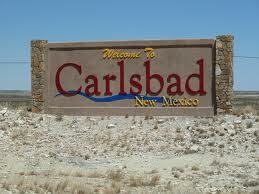 Another thing I had going for me was the fact that I had to drive ten hours just to get from Phoenix to Carlsbad. That guaranteed I would have a huge chunk of time to spend with nothing but my thoughts. Escape, in the form of going to the movies, let’s say, or hanging out with a friend, was virtually impossible. Thirdly, the nature of time itself is flexible, or at least our perception of it can be, and it is amazing how long a day can seem when it is spent outside the routine of day-to-day life. I’m sure each of us has noticed how completely different a day can feel once you’ve broken out of the regimented, detail-deluged, schedulized kind of living we do in order to meet our normal obligations and expectations. Free, spacious, almost endless. Especially when you get completely out of the place where you live, and put yourself into a totally different context, the way traveling does. And lastly, and probably most importantly, I think I was ready. Ready to ask the difficult questions, and ready to hear the answers, whatever they may be. 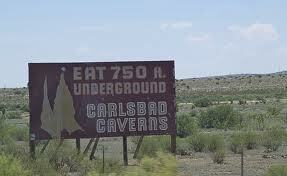 The next day, I had to be at Carlsbad Caverns pretty early for my reservation. I also wanted to see if they had any last minute cancellations on any of their highly exclusive ‘dark’ tours. An undisguised attempt at distraction? Undoubtedly. At any rate, they didn’t, which was as it should be. I spent the morning underground, seeing metaphors in the calcified stalactites and stalagmites, and the dark, mysterious wonderland hidden deep underground. I ate lunch in the café 750 feet below the earth, which used to be much more elaborate, but, because of the irreversible damage that installing a fully operational restaurant in a living cave caused, was now wisely limited to cold sandwiches and salads. 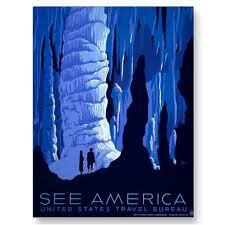 That afternoon, I hiked out of the caverns through the natural entrance, instead of the elevator I had taken down. On the way out, I spent more time comparing the curious, twisted facts of my life, seemingly formed from similar stone, and with the same apparent sense of permanence, as the curious, twisted rock formations that surrounded me. Those of you who have read the post I wrote about the Mumford and Sons’ song “The Cave” can possibly imagine the chills with which I would be struck upon learning the title of that song for the first time a few months later. But even as I reached the surface, I still hadn’t resolved anything. Lots of questions, but not a single answer. And now time was becoming a factor, because all I had left was the afternoon and evening, and then the long drive back home tomorrow. Instead of returning to my room, I stopped at a trail within the vast empty desert of the park, and hiked a small hill. There were a couple of concrete slabs with covered benches at the top, and not a soul in sight, with the possible exception of my own. I didn’t sit at a bench; it seemed too contrived, too artificial for some reason. I instead picked a seat-sized, mostly flat rock that was part of a small precipice that overlooked the sloping, sleeping hills to the east. I sat there quietly, and listened to the wind in my ears, and felt the mid-afternoon sun on my head and back, which was just warm enough to keep the chill carried by the January air from settling. In amongst the brown, dormant grass, the dark rocks, and the spindly, gray-green bushes, I meditated on the one question I had been afraid to think too much about. I couldn’t figure out why I was so unhappy as a teacher, as I had been as a letter carrier, and a banker, and every other job I’d ever had. Teaching was supposed to be different. I deliberately and purposely chose to go into teaching because I wanted to do good things. I wanted to fight the good fight. I wanted to help others. I enjoyed the kids I was working with; I respected them immensely as individuals, and there were many, many for whom I had developed tremendous affection and more than a little admiration. I believed that what I was doing was making some sort of a positive difference. Because of that I worked hard, very hard, at the job, far harder than any job I had ever undertaken. And even though I was still screwing up on a daily basis, sometimes severely, I could tell that I was getting better at this thing called teaching; real, actual teaching. Having been at it for three years by then, I knew there was still an overwhelming amount to learn about becoming highly-skilled in the profession; but I was gaining confidence that I was, in fact, capable of eventually mastering enough of the principles to meet my own definition of success. And yet I was becoming still more miserable, not less. Of course there were things that I did not like about teaching. Grading essays, for instance: public enemy number 1. I never did quite figure out how to grade essays quickly and effectively, and it drove me bonkers. There were other things. But none of them were the real problem. The real problem was that, despite my best intentions, somehow my heart wasn’t in it. That was the thing I had to face, the thing I didn’t want to admit. I didn’t even know how it could be true, considering everything I felt and knew about the importance of what I was doing. I had always assumed that teaching was going to turn out to be my calling, and yet, here I was, hating to do the very thing I thought I was supposed to be doing. “What gives???! !” I wanted to shout at the blank hills, at nature, at God. But there it was: a hard, stone-faced fact, as cold to me as the loneliest rock in the deepest crevice of a lost cave. My heart just wasn’t in it. Just like with those other jobs. The best of intentions just wasn’t enough. Then a soul-rattling idea raised its ghostly chains in my mind. Maybe the real reason my heart wasn’t in it was because I was just too afraid to put my heart into anything, even the very thing that I believed should have been my life’s work. Maybe that had been the problem all along, with all the jobs I’ve had and hated. That was a scary and ominous thought. If it were fundamentally true, it implied not only that I would not find happiness as a teacher, but that I would never be happy doing anything because I would always be holding back the very thing that made happiness possible. Accusing myself of cowardice is one of my favorite pastimes, but even I had never quite unlocked the door to that particular possibility before. But that’s why I was here, wasn’t it? To ask these questions in a place where I could scream if I had to without disturbing anyone else. Was I afraid to put my heart into things? Instead of returning the question back to its dark, locked closet, which was my first instinct, I brought it out into the open fullness of my mind and examined it. I began probing and testing it, hoping to ascertain the exact quality of its truth. Gold or fool’s gold? Or some alloy containing some of each? The truth, even when it hurts, is gold, because the truth is necessary for knowing. And knowing is necessary to changing. Was I afraid to put my heart into things? It was time to know, because something had to change. I dug into my past, looking for patterns, for evidence and examples that would either prove or disprove the implicit accusation. Staring at the stark, sweeping hills seemed to help me focus. The conclusion I reached about myself that day wasn’t simple, and it wasn’t easy. Yes, I decided, I was afraid to put my heart into things. Did it stop me? Sometimes, but not always. As I worked through the complexities implied in that answer, I had a moment where the pattern seemed to resolve itself, and I saw it in a way that hadn’t occurred to me before. Maybe the real problem was that I had been afraid to do the things I knew I loved, instead of trying to love the things I did. It was like one of those math problems you stare at for the longest time in frustration, and then the answer comes suddenly, and when it comes, it’s so utterly clear, and painfully obvious. Maybe putting your heart into something isn’t a choice. Maybe it happens only as a natural result of doing something you love. And maybe you could have everybody’s consensus of the best job in the world and be miserable, because you don’t love doing it. If all that’s true, then my real problem stems from choosing to do things I don’t love, not choosing things I love but am afraid to invest my love in. When I applied that bit of mathematical calculation to my current situation, it meant I couldn’t go back to teaching, because I didn’t love it. Plain and simple. Regardless of the good I was doing, or thought I might be capable of doing someday, I didn’t love it, and I knew enough to know I never would love it. Teaching is too difficult a job, too all-consuming, to do well and not lose yourself, if you don’t love it. I came to Carlsbad not knowing how long I could hang in there as a teacher. What Carlsbad gave me was the understanding that I didn’t have to try indefinitely. When I left Carlsbad, I knew that I could at least do my job, give it everything I had left to give, finish out the year, and then walk away. I left the hill with only that one solid resolution: I was done trying to do the things I thought I was supposed to do. If I was going to make another mistake, at least the next one would be made doing something I loved. But what? That question remained uncertain. As I traveled home, I spent a lot of time going over the things I loved when I was a kid: animals, dinosaurs, rocks and plants and planets, researching things. My mind has a very scientific bent; it dwells compulsively on describing, classifying, organizing, making connections. I thought seriously about the job options for someone with such a mind. I always wanted to work in a zoo, and design habitats that would strike the perfect balance between the needs of the animals and the purposes of a zoo. I thought about what it would take to go back to school and earn a degree in paleontology or geology or astronomy. I thought about investigating research assistant positions, and where such a job might lead. I thought through all these possibilities, and tested them for resonance against my heart and soul. Yet, somewhere in the boiling convection of my mind, trying to stay submerged, and in complete contrast to everything else, a quaking, quivering question would bubble tentatively through my thoughts. And what about writing? Hutton - That will be my next great journey!